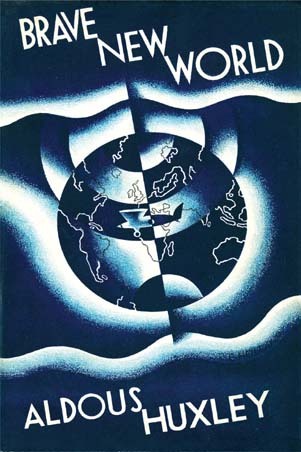 Aldous Huxley (July 26, 1894-November 22, 1963) wrote his landmark cautionary work Brave New World in 1931 and saw it published in 1932. He died at age 69 the same day as President John F. Kennedy was assassinated in Dallas, Texas. Brave New World is set in 2540 A. D. (or 632 A. F.--After Ford, for Henry Ford, father of the first assembly line, mass-produced, automobiles). It tells of a world where, in Huxley's own words, "Man has replaced nature by science, morality by drugs, and individuality by total conformity." 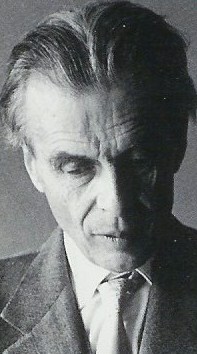 Huxley studied, and was deeply involved in, Eastern mysticism, and despite his statement about Brave New World being a world where Man has replaced morality by drugs, it is ironic that he himself was well known for his profligate use of hallucinogenics, including mescaline and LSD. The following excellent adaptation of Huxley's novel was presented on the CBS Radio Workshop in two weekly half-hour episodes. Huxley himself introduces and narrates both episodes, which is a rare treat. The CBS Radio Workshop was not long-lived, running from 1956-57. It was known as an "experimental" workshop, and in many of its dramatizations the "experimental" aspect is never in doubt, and is quite refreshing in its choice and treatment of subject matter, skewing to the modernist, avant garde sensibility popular at the time, featuring such modernist composers as (in the score for Brave New World) the incomparable Bernard Herrmann. This anthology series was subtitled "radio's distinguished series dedicated to man's imagination, the theater of the mind." Along with Huxley, the CBS Radio Workshop would also adapt works from the likes of Mark Twain, Edgar Allan Poe, Frederik Pohl, Robert A. Heinlein, and Sinclair Lewis, among others. Brave New World, Part I aired on January 27, 1956. Brave New World, Part II aired the following week on February 3, 1956, making the concluding original broadcast exactly fifty-four years old to the week of our presentation here.